This song is referenced by Song 101 – This New Song. 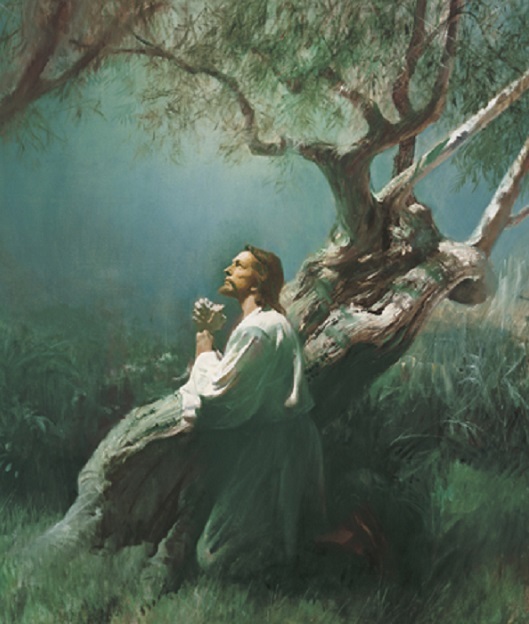 The image to the left was downloaded from https://www.lds.org, and is copyrighted. 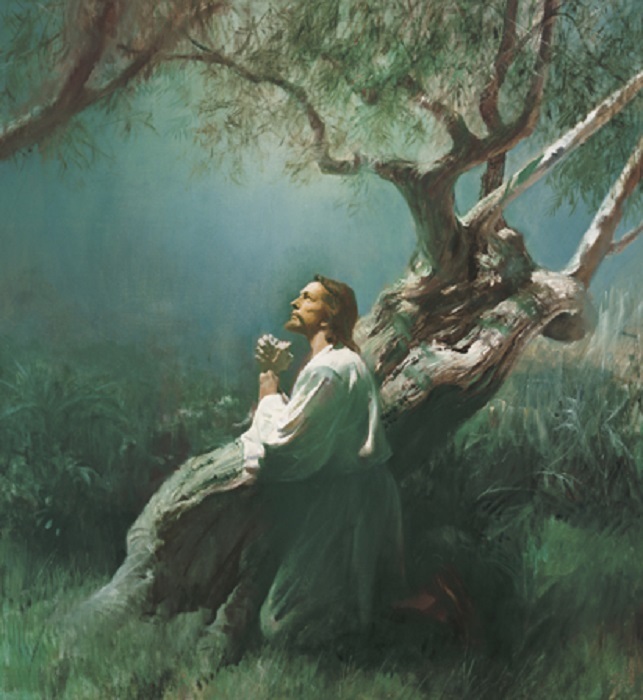 I want ahead and used it here because a version of this same image was above the sacrament table at the Cedar City 3rd Ward when I was growing up. I think this image had an impact on me, and specifically my willingness to pray when challenged twice with the question “Are you a Mormon?” in Corvallis, Oregon in 1998. The lds.org page lets you download, high-res print, and share this page with others on social media, so I am posting the image until I am told to take it down by the copyright holder. This song is based on the words of John 17:1-26, and is Jesus’ prayer in the Garden of Gethsemane. These words capture the moment exquisitely. “The hour is come.” “This is life eternal to know thee, the only true God, and Jesus Christ, whom thou hast sent.” “I have finished the work which thou gavest me to do.” “Glorify thou me … with the glory which I had with thee before the world was.” “I have given unto them the words which thou gavest me.” “I pray for them.” “Keep through thine own name those whom thou hast given me, that they may be one, as we are.” “And now I come unto thee.” “I have given them thy word; and the world hath hated them.” “Neither pray I for these alone, but for them also which shall believe on me through their word. That they all may be one; as thou, Father, art in me, and I in thee, that they also may be one in us.” “That they may be one, even as we are one: I in them, and thou in me, that they may be made perfect in one.” “For thou lovedst me before the foundation of the world, O righteous Father.” Concepts not understood by many Christians: pre-existence; separate bodies of God and Christ, as shown by Christ praying to Heavenly Father, yet with one purpose and goal; and how to know and become one with God and with Christ.